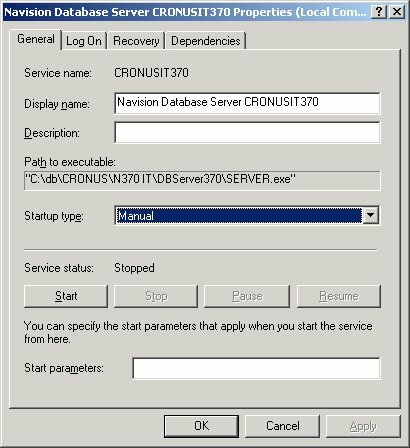 It is possible to have a mix between different DB-servers of Navision on 1 PC. 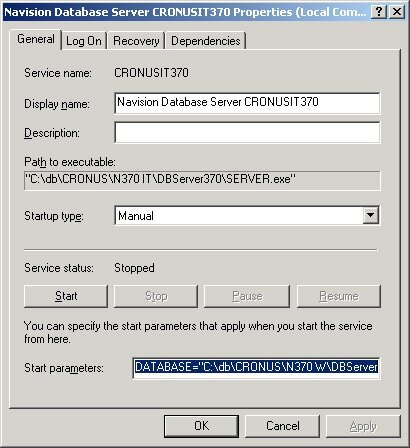 Personally I have some CRONUS-databases (3.01B IT, 3.10A IT, 3.10A W1, 360 IT, 360 W1, 370 IT, 370 W1, 370A IT, 370A W1, 370B IT, 370B W1, 4.00 IT, 4.00 W1) and some customer-databases with a service. Of course I don’t start them up automatically (you can do that if you have LOT’S of memory). 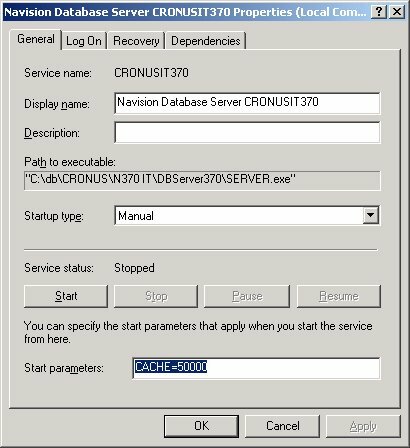 This gives me the possibility to use the same fin.exe for different databases (like different customers with the same Navision-version) and have those databases open at the same time. IMPORTANT: it is best not to put more than 1 DB-server on a production-machine, because of performance-reasons. 1. 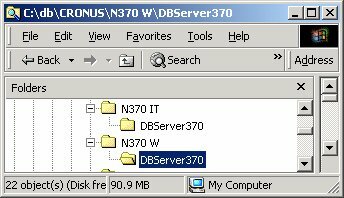 Get the DB-server files and put them in a new subdirectory. a. You already have an installation of a DB-server with the version you need (you can use the same DB-server-files for the W1 as for the different country-versions of your databases) (there can be a difference between the files of different service packs e.g. 2.60A and 2.60F have different files!). Just copy those files into a new subdirectory. b. You don’t have an installation of a DB-server with the version you need. i. You already have a DB-server installation directly from the CD. Install the DB-server from the CD on ANOTHER PC. Otherwise you might mess up the installation of the first DB-server. Copy the files to the new subdirectory on your PC and de-install the service. ii. You don’t have a DB-server installation directly from the CD. Install the DB-server from the CD. Copy the files to the new subdirectory and de-install the service. Copy “serverstart.cmd” and “serverstop.cmd” to the new subdirectory. Change some parameters (like service name, and DB-location) in the files “serverstart.cmd”, “serverstop.cmd”. These files contain commands to install/start or stop/de-install the service. An example of both files is included in the zip. o After having launched this file, you need to comment out the first line. This only in case you want to manually start and stop the service. With Navision 4.00, it is possible you have to launch the script several times before Windows wants to install it. o The cache = 10000 KB is good enough for developing. With a production-DB, you will need more cache. My standard is 10% of the used DB-space (of course with a limit of 1 GB). o After installing the service, the service will be started automatically. If you want to do it manually, you have to change it in the services. 6. Changing some parameter of the service. If you want to change some parameter, e.g. you mistyped the path of the DB, stop the DB-service, change it from the services in the field “Start Parameters” and then start the service. You have to uncomment the second line and launch the script. If you want to manually start and stop the different services, make shortcuts of the 2 scripts, and also a shortcut to the fin.exe with the necessary parameters to open the correct DB. Put all those scripts together in a subdirectory.